How do you right a best seller? 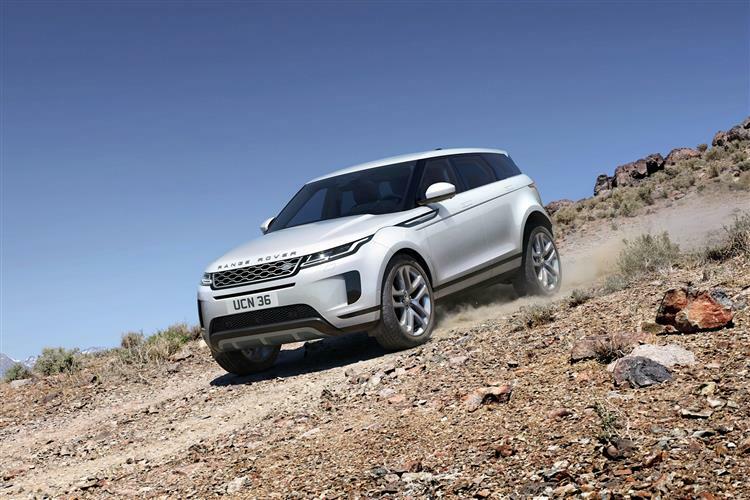 That was Land Rover's problem when it came to creating the second generation version of its runaway success story, the Range Rover Evoque, a car that now accounts for a third of the brand's total sales. It's a fashionable, yet capable proposition that has fundamentally changed the premium mid-sized SUV market and rivals now have to contend with an evolved version that features a more efficient range of diesel and petrol engines, including electrified and mild hybrid technology. Plus there's smarter styling, more interior space, extra off road ability and sharper handling thanks to an all-new 'PTA' platform. As a result, if you want an SUV of this kind, this is still the one to beat. Range Rover's Evoque has demolished all sales records for SUVs in this class. Jonathan Crouch reports on how the latest MK2 model aims to stay in the top spot. It's getting on for half a century since all-wheel driving was revolutionised by the Range Rover, a car now a class apart in the luxury 4x4 sector. But what would that model look like re-invented in smaller form for very different Millennial times, an age in which fashion and frugality are as important as toughness and traction? Something like this we think, the Range Rover Evoque, here rejuvenated in second generation form. As before, it sets out to meet a daunting set of challenges, aiming to provide luxurious room for four in a shape shorter than a Ford Focus. Along with handling as satisfying as a sports coupe. And economy that might allow green-minded versions to rival the returns of a citycar. All to be delivered with class-leading off road expertise. In a car right for its times. Quite a build-up. Quite a car? Let's find out. The Evoque range is primarily focused on Ingenium four-cylinder units. All automatic versions of this model, regardless of whether they're diesel or petrol, will have a 48-volt mild hybrid system equipped with an 8Ah lithium-ion battery. The petrol derivatives produce 197bhp, 247bhp and 296bhp, while the diesels develop 148bhp, 178bhp and 237bhp. Your dealer can offer you a manual gearbox available on the entry-level front-driven diesel, but the remainder of the models in the range will come with the brand's latest nine-speed automatic. A less powerful three-cylinder turbo petrol powerplant has also been developed for this MK2 model, an engine you'll be able to order either as a standalone unit or as part of a plug-in hybrid configuration. As before, all but the most basic Evoques will come with 4WD but their transmission features a 'driveline disconnect' feature which will see the car default to a front-driven configuration unless a loss of traction dictates otherwise. An 'Active Driveline' system will be optionally available, which uses a rear-mounted double-clutch which offers torque vectoring on the rear axle to aid corner turn-in. Off-road ability is enhanced with the fitment of 'Terrain Response 2' tech from the larger range Rover that analyses the road surface and adjusts the transmission to suit. Wading depth is up 100mm to 600mm too. Land Rover needed to keep the Evoque looking contemporary without diluting its inherent appeal. This time round, the range is focused on the five-door body style that the majority of buyers of the earlier MK1 model chose. The Evoque's highly desirable design is a hallmark of this luxurious mid-sized SUV. For that reason, certain key elements, like the way that the clamshell bonnet is interrupted by bulging front wheel arches, and the ultra-slim rear glass area, have been retained. From the side though, there's a much cleaner look, with flush door handles borrowed from the Velar and smoother surfacing on the doors. 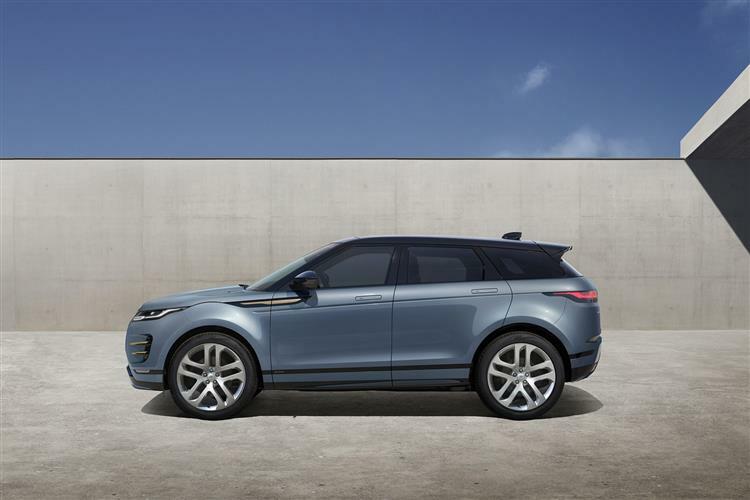 Of course, what's more important is the stuff you can't see: Land Rover says that 90% of the body components are new, partly because this second generation Evoque is the first Jaguar land Rover group model to be based upon the company's completely new 'Premium Transverse Architecture'. 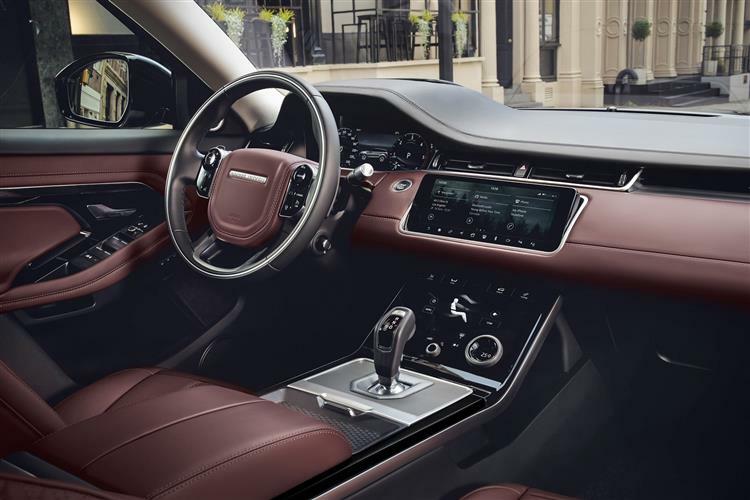 Inside, the cabin has been influenced by the brand's larger Velar, hence the introduction of a 12.3-inch digital instrument panel and, on plusher versions, the option of a pair of centre-dash 10-inch 'Touch Pro Duo' screens. 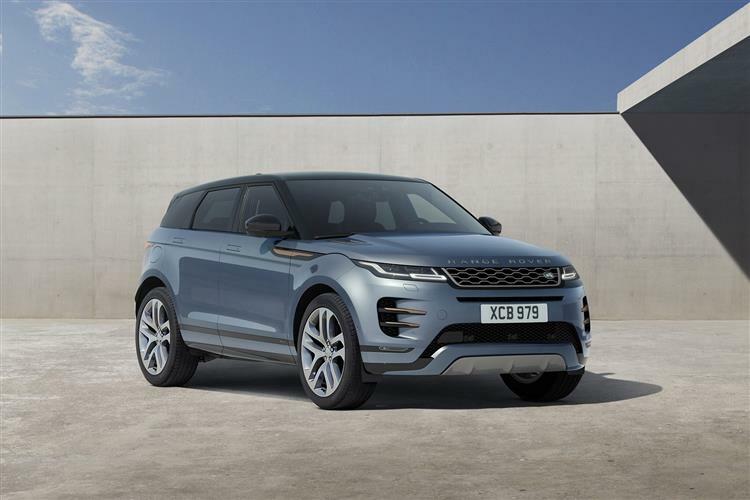 The new 'PTA' platform has extended the Evoque's wheelbase, so though the new model is actually a few millimetres shorter than its predecessor, it has better cabin packaging. You should notice this on the rear seat. Plus in the boot, where capacity has risen 10% to 591-litres - enough, Land Rover reckons, for a full set of golf clubs or a folded pram. With the second row folded down, there's 1,383-litres on offer. Pricing isn't much different, starting from just under £32,000. 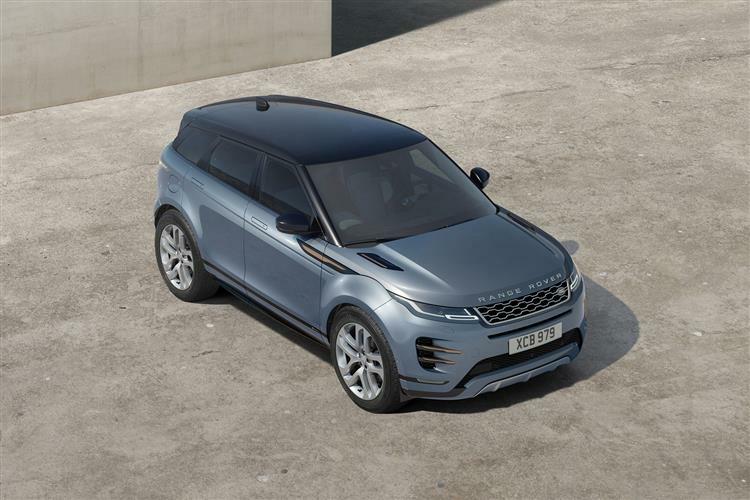 There are four main trim levels - standard Evoque, 'S', 'SE' and 'HSE', all with sportier 'R-Dynamic' sub-derivatives available for an extra £1,500. Plus initially there'll be flagship 'First Edition' models too. It all means that it's now possible to pay up to £50,000 for an Evoque. You can specify a Head-up display. Plus Android Auto and Apple CarPlay smartphone mirroring at last make an appearance. All variants get LED auto headlights, rain-sensing wipers, 17-inch or 18-inch alloy wheels, ambient cabin lighting, dual-zone climate control, and a heated windscreen. 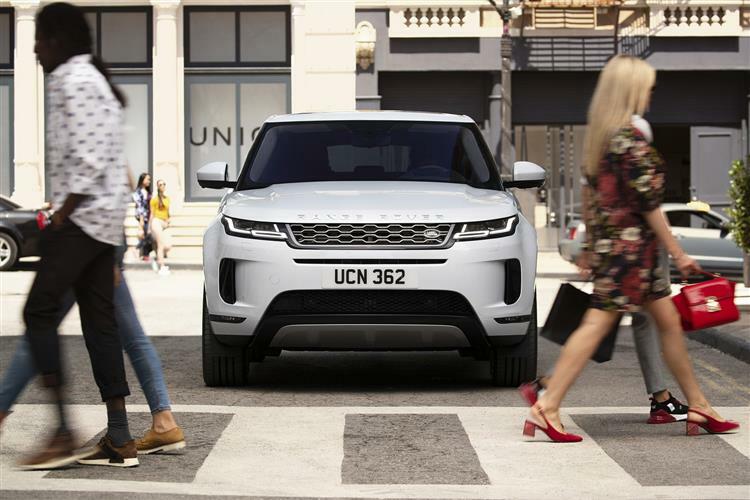 Upgrade yourself from standard 'Evoque' trim to 'S'-spec and you get perforated leather, electrically adjustable front seats, an improved infotainment system with Android Auto and Apple CarPlay, auto dimming on the side mirrors and rear-view mirror, and traffic sign recognition with an adaptive speed limiter. If you can move further up the range, 'SE'-spec gives you high-beam assist headlights and 'sweeping' LED indicators, plus 20in alloys, extra power adjustment and heating for the front seats, an interactive driver display, an electrically powered tailgate and a parking pack that includes a rear traffic monitor. Finally, 'HSE' trim upgrades the leather upholstery and brings a 380W Meridian sound system, the ClearSight rear-view mirror camera, gesture control for the powered tailgate, adaptive cruise control and a different finish of 20-inch alloys. This MK2 Evoque's new 'Premium Transverse Architecture' platform allows Jaguar land Rover's smaller models to become more technologically sophisticated, particularly in terms of powertrain electrification. We'll see the fruit of that when the plug-in three-cylinder turbo petrol powerplant is introduced to the range. 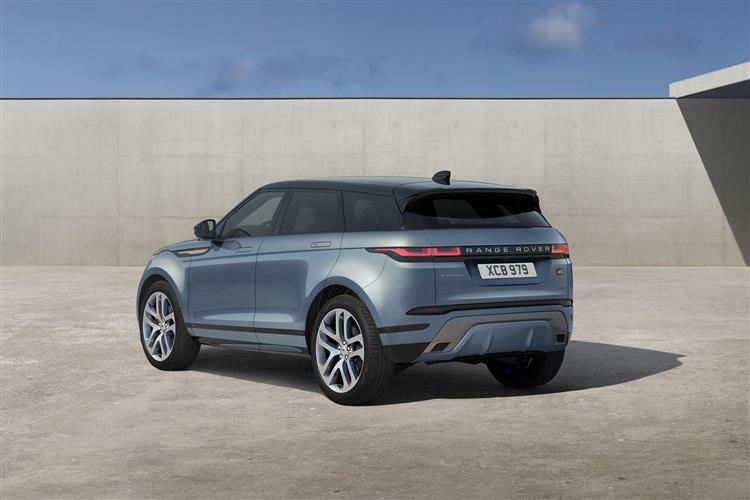 For the time being, Land Rover reckons that a front-driven 150PS diesel manual model will put out 143g/km of CO2 and that the cleanest mild-hybrid auto diesel will put out 149g/km and deliver 50.4mpg on the combined cycle. All these figures are compiled from the stricter WLTP cycle. A three-year, unlimited mileage warranty comes with this model, with further extensions available if you want them. There's also an 'InControl Protect' service that allows you to monitor vital stats on your car from your smartphone and will guide the breakdown services to your Evoque should it ever have a problem. Also included is European cover and a promise to get you on your way as soon as possible in your own car or in a loan vehicle if the required repair will take longer than four hours. Land Rover has spent its money wisely with this second generation Evoque. This car's just become significantly more economical and capable, both on road and off. Just about the only thing that can really sink this model is for it to go horribly out of fashion. That doesn't look like happening any time soon, but just in case, Land Rover has concentrated on substance over style with this MK2 model. In doing so, the brand has future-proofed its biggest money-spinner. In summary then, the Evoque is now even easier to recommend than it was before. 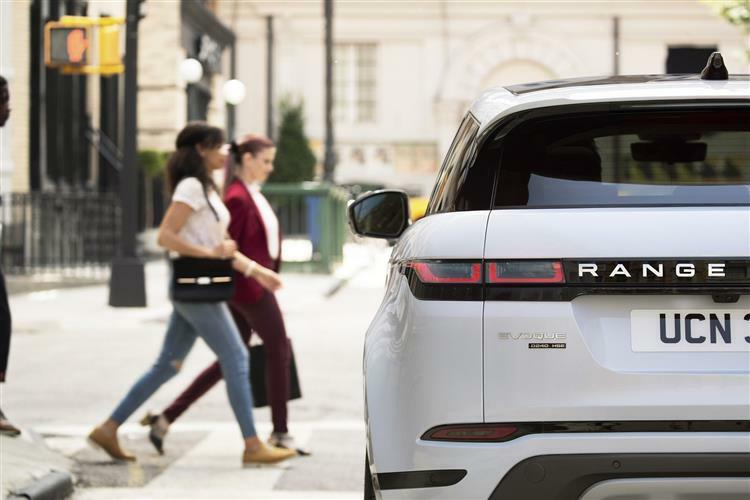 It's the only car in the premium compact SUV segment with a conceivable appeal to lifestyle buyers not necessarily searching for a premium mid-sized SUV - and that says a lot. If you are in the market for something of this kind, can stretch to the asking price and can afford not to place too much of a premium on practicality, then you won't be disappointed. This is, quite simply, the class of the field.